Most of the value of US paper currency is $100 bills. The fraction of the value of US paper currency that is $100 bills is increasing. Most US paper currency—in particular $100 bills—is abroad. For at least two decades, the value of circulating currency has increased an average of 6% a year. Even when adjusted for inflation, the total value has more than doubled since 1997, and the total value of $100s is nearly triple what it was then. 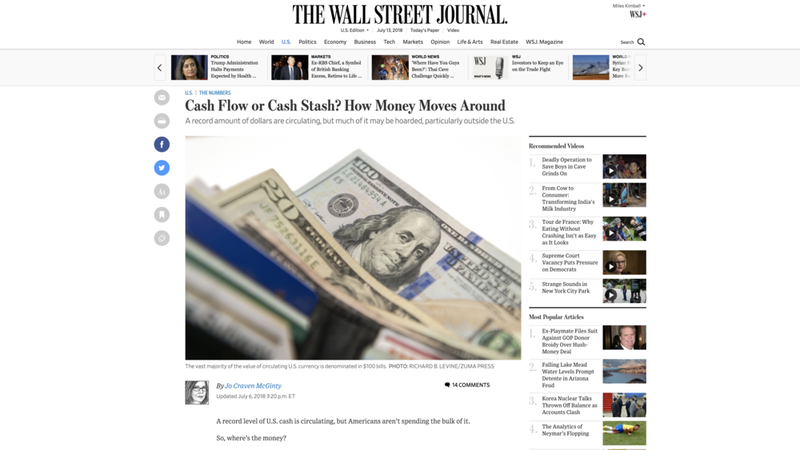 ... the bulk of U.S. cash sent abroad is in the form of $100 bills. For related posts, see the links in "How and Why to Eliminate the Zero Lower Bound: A Reader’s Guide."